This is a rectangular Ramsay’s Paints Agent porcelain sign. 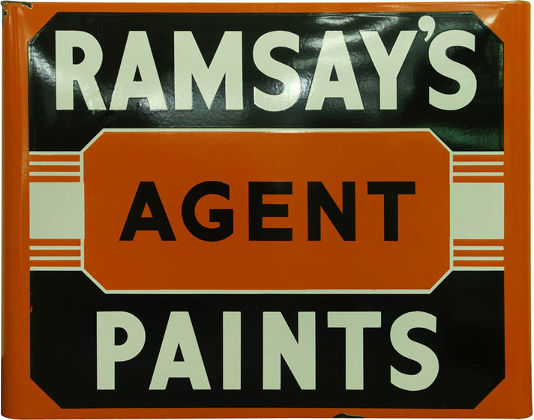 This particular Ramsay’s Paints Agent sign is orange, black, and white. It reads, “Ramsay’s Paints Agent” and features an orange shape in the center of the sign.